Welcome to the permanent cosmetics section of our blog! 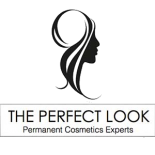 At The Perfect Look, we know that it can be difficult to find reliable information about permanent makeup procedures. We’ve made it our goal to provide our readers with everything they need to make informed decisions, so you’ll find a wealth of information about the various procedures we offer on this page. If you would like to learn more about any of our permanent cosmetics services, then please get in touch with us by filling out our online contact form! We’ll gladly answer your questions and provide you with any follow-up information you need.